Help PETA shut down the horrific dog-sled industry, starting with the Iditarod. After hearing from PETA supporters, many companies have dropped their Iditarod sponsorships. But some others, including Jack Daniel’s and Alaska Airlines, continue to fund this deadly spectacle. Stand with PETA by demanding that they stop sponsoring this abusive "race." Take Action: Dogs Deserve Far Better Than a Lifetime of Isolation, Cruelty, Suffering, and Death on the Iditarod Trail. A whistleblower has come forward with disturbing photographs and video footage that apparently reveal dying puppies and injured, sick dogs at a kennel reportedly owned by Dallas Seavey, the four-time Iditarod champion who was recently implicated in a dog-doping scandal." According to the whistleblower, operators at the Willow, Alaska, kennel allowed severely injured and ailing dogs to suffer—sometimes fatally—without veterinary care. 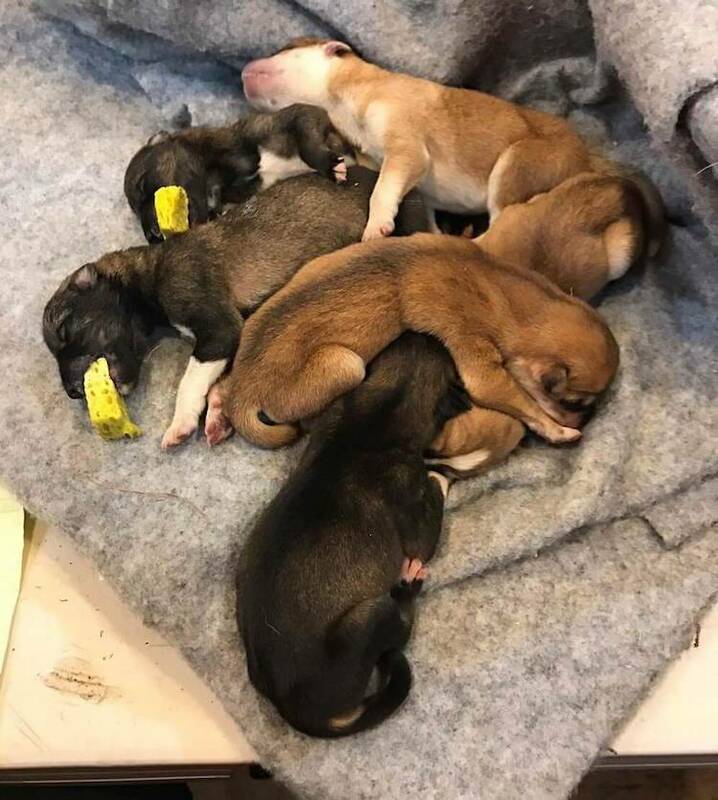 The whistleblower reported finding a litter of seven newborn puppies who died within the past month without any veterinary intervention. One of them was apparently buried on site. These puppies, seen chewing on Pedialyte-soaked sponges, later allegedly died. Many other dogs reportedly suffered from bloody diarrhea and vomiting, puncture and bite wounds, and torn ears. The whistleblower reported that handlers allegedly picked up dogs by their throats and threw them to “punish” them for fighting or not obeying commands. 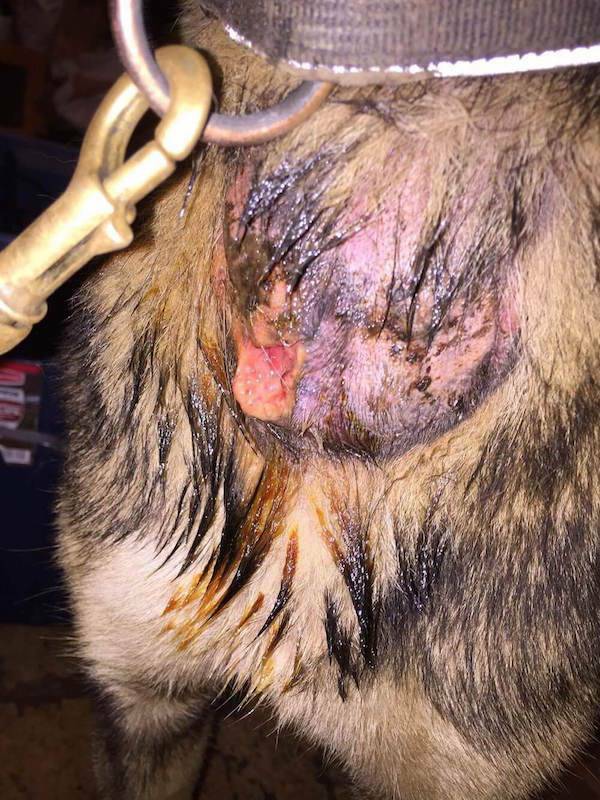 This chained-up dog suffered from what appears to be an open, oozing wound. The whistleblower also reported that dogs have been left for weeks in doghouses soaked by rain and snow and that a three-legged dog named Gott—who experienced a spinal clot during the Yukon Quest race and had to have his leg amputated—is perpetually chained and struggles to move around. PETA forwarded the evidence to state police and local animal control authorities and has learned that officials inspected both of Seavey’s properties over the weekend. Every day brings new revelations of routine cruelty in the sledding industry. After hearing from PETA supporters, many companies have dropped their Iditarod sponsorships. But some others, including Jack Daniel’s and Alaska Airlines, continue to fund this deadly spectacle. Stand with PETA by demanding that they stop sponsoring this abusive race - Take Action: Dogs Deserve Far Better Than a Lifetime of Isolation, Cruelty, Suffering, and Death on the Iditarod Trail.